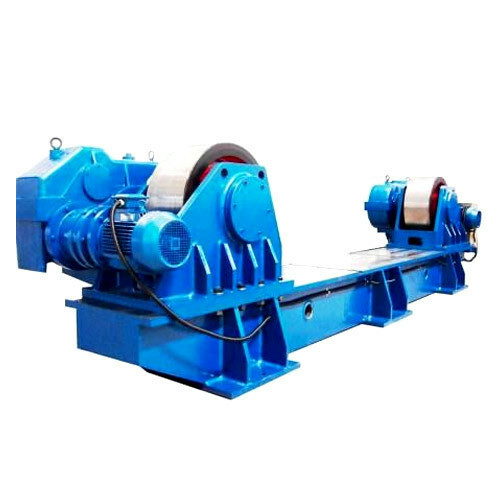 We are the prominent manufacturer and exporter of a wide range of Industrial Equipment to our clients. Industrial equipment is fabricated using superior quality materials. Our range of products includes Our wide range of product includes Tank Rotators, Tank Rotator Idler, Column And Boom Welding Manipulators, Welding Positioners, Monorail Trolley, Roller Conveyor, Transfer Wagon, In Situ Slitting Machine, Cold Pressing Hydraulic Press, Hot Pressing Hydraulic Press, Hard Board Press, Multi-Spindle Drilling Machine, Duplex Milling Machine, Slitting Spm, Ironing Machine, Pipe Stands, Glass Turning Lathe Machine, Custom Built Machines In Welding Automation, Right Angle Head, Levelling Block etc. Clients can avail industrial equipment at affordable price in the market. Our ranges of products are also checked stringently to ensure best quality product to our customers. We are looking enquiries from Russia.